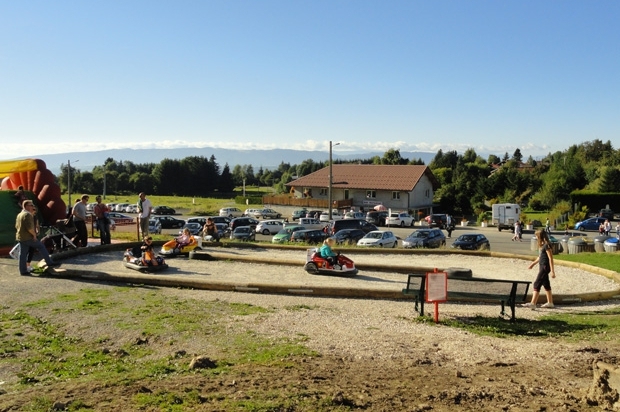 at the wheel of a Mini-kart. 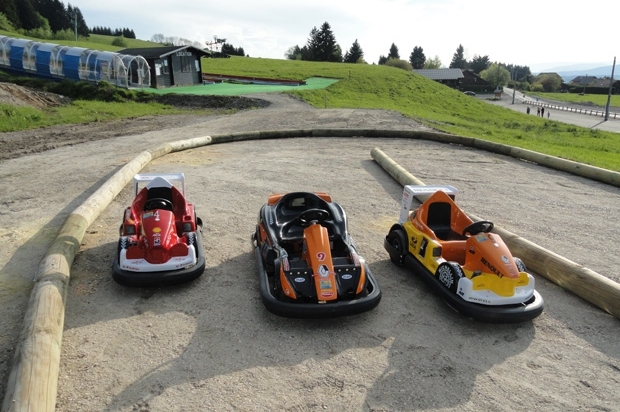 We have one-seated karts but aslo double karts for the young ones that need a driver. 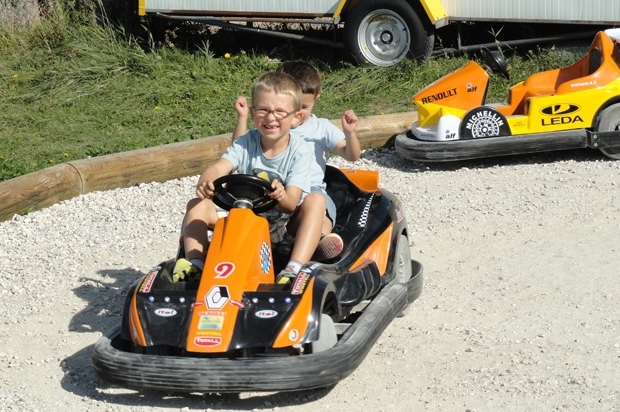 Noise, light and speed will delight your children! 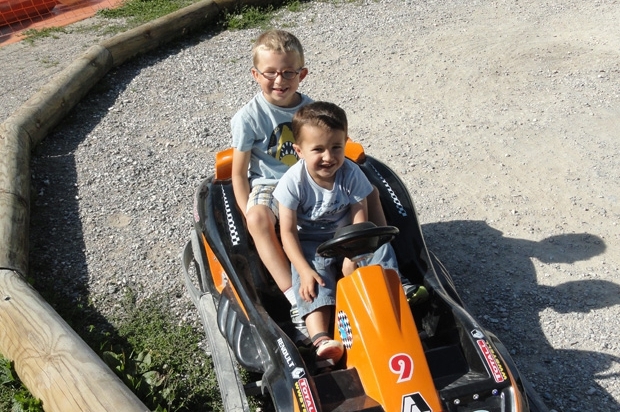 Children from the age of 2 and under 5 must be accompanied by a person above 7 years old, using the 2 seated kart. 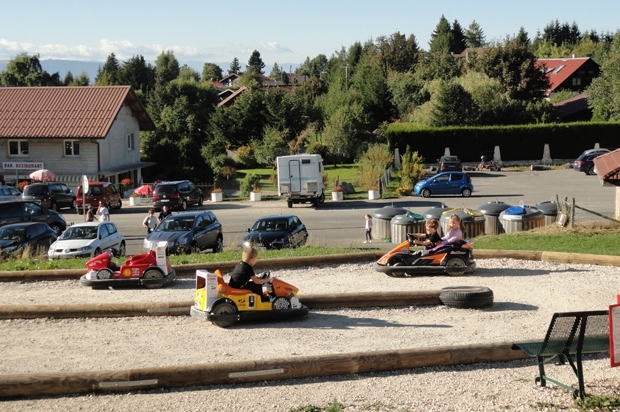 The mini-karts are freely available under the parents supervision, using a token. 1 token = 5 minutes.